- Current Capacity: 40 Amps AC. 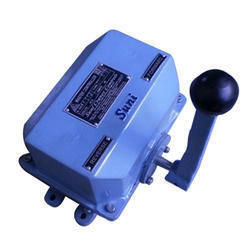 With the support of our skillful executives, we are involved in offering a complete Hoist Control Panel. Closed Loop AC VFDs are suitable for AC squirrel cage or wound rotor induction motors for crane hoist motions with overhauling loads (hoists with standard gear arrangements - without worm gear or mechanical load brake). We manufacture control panel which is an assembly of electrical components (magnetic or static), that governs the flow of power to or from a motor in response to signals from a master switch, push button station or a remote control. Our professionals have introduced Crane Control Panel, which is designed underneath their stern observation employing modern technology. AJSIM Industrial Services Pvt. Ltd. Being a customer oriented organization, we are deeply engaged in offering a wide array of Crane Panel. This controller provides reversing and plugging operation of slip ring induction motors in heavy duty cranes on trolley services. Upto 5 motor speeds are achievable when used in conjunction with a master controller. Vertex Power have expertise in manufacturing and supplying of VFD and Contactor based Crane Control Panels which are fabricated as per quality standards. These Panels are available in various dimensions and standard sizes as client requirement further these are offered at the most competitive price which help in avoiding their budgetary constraints. 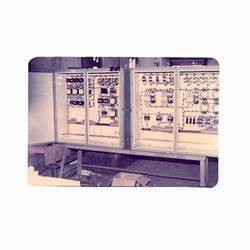 - Variable frequency drive PLC.